Out of town friends and family are coming, and you don’t know what they drink? Need a beer to have when you’re having more than one? This brand new beer from the mind of Nick Garrison is closer to what non-beer-snobs (i.e. regular folks) call “beer,” and relatively inexpensive for something brewed at a craft brewery. Load up and enjoy a traditional lawnmower beer flavor, only much better. 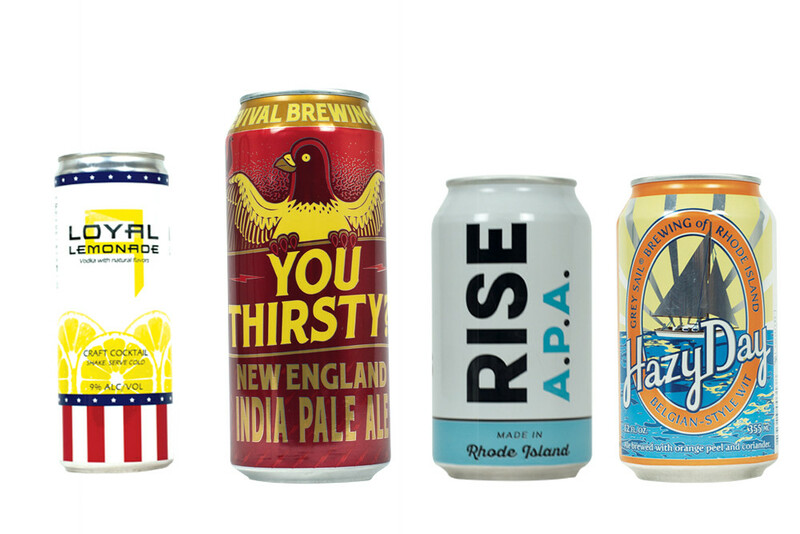 The out-of-towners will like that it’s local, and has a lighthouse on the can and “Ocean State” in the name. Part of what makes beer so perfect in the summer is its portability. Who wants to lug a handle of vodka and all the mixers to an outdoor get together, really? Sons of Liberty, who have been rolling out great surprises since (holy smokes, since 2009? Time flies when you are enjoying your local distillery) have put an ethereal combination of vodka and all-natural flavors into a very portable container. At 9% ABV, you will want plenty of ice if you are starting at noon. And unlike beer, you should totally muddle your favorite fruit into Loyal Lemonade. Sons of Liberty suggests rosemary. Good call. BeerAdvocate labeled the New England IPA its own style in May of 2017, but the craving for hazy, juicy, hop-dominant beer goes back much further. This is brewmaster Sean Larkin's take on the style, and nothing overwhelms, even as there's a lot going on in the nose, the mouthfeel and the finish. Some reviews note mango, honeydew, pineapple, and peach, and none of the beat-you-into-submission bitterness that those who avoid IPA's complain about. An IPA that's easy to drink. Have you had one? This is one. Did you have Rise’s excellent version of an American Pale Ale once or twice and then set out for newer and wackier styles? C’mon back and remind yourself that it’s not exactly common in 2018 to find a lightly fruity, biscuity pale ale that offers all the complexity of flavor you want without bashing in your cranium with all of them. Because that’s really what you want in the summer. Like your favorite uncle at a bonfire, it’s sometimes fun to appreciate the unfiltered. This is a sterling example of the Belgian Wit style… which means nothing if you’ve never had one, so how about this: pair this with steamed mussels, herbed cheese-and-crackers, or desserts with bananas or orange. You will see why the wit style is a gateway beer for the wine or cocktail enthusiast who likes a little tang or a little spice. Twenty years ago, blonde ales were brewed for consumers scared of anything past BudMailCoorHeinona. Now, blonde ales are a chance to challenge your brewer to create a golden-colored flavorful ale with notes of grapefruit that will offset your favorite lobster, shrimp, and white-fleshed fish dishes. 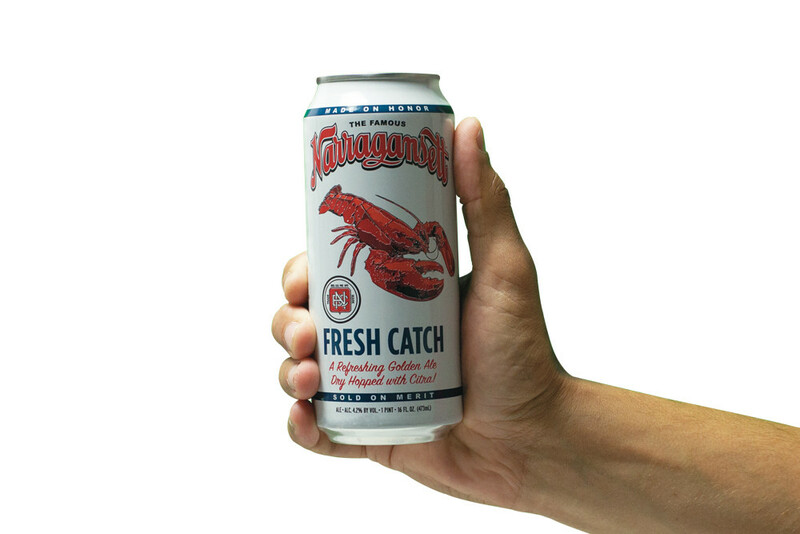 IPA snobs who realized that the cold citrus tang of a great pilsner is remarkably similar to (but more summer-subtle than) enjoying a hop monster owe themselves a few Fresh Catches while the sun climbs high.